The reclusive nation has been constructing an experimental light water reactor (ELWR) at its nuclear facility in Yongbyon, 90 miles north of the capital of Pyongyang, since 2009. The facility produced the fissile material for North Korea’s nuclear weapons tests in 2006 and 2009, when Kim’s father Kim Jong-il was the country’s supreme leader. Activity at the site has intensified in recent months and experts say building work on the reactor is structurally complete. The images also suggest it may even be operational, and scientists have already begun testing at the facility. Officially the aim is to produce electricity but the new reactor can easily be converted to produce fissile material for nuclear weapons. North Korea has long held ambitions to be a nuclear power. Both China and Russia refused to help it develop a program of its own after the US deployed nuclear weapons in South Korea in 1958. However, Russia did agree to send scientists to help develop a peaceful nuclear energy program, including the training of nuclear scientists. As a result, this technology has been developed into a clandestine nuclear weapons programme. Jane's Intelligence Review, believes an image from February 25 which shows emissions rising from the reactor's stack suggests "testing of the machinery at the site”. 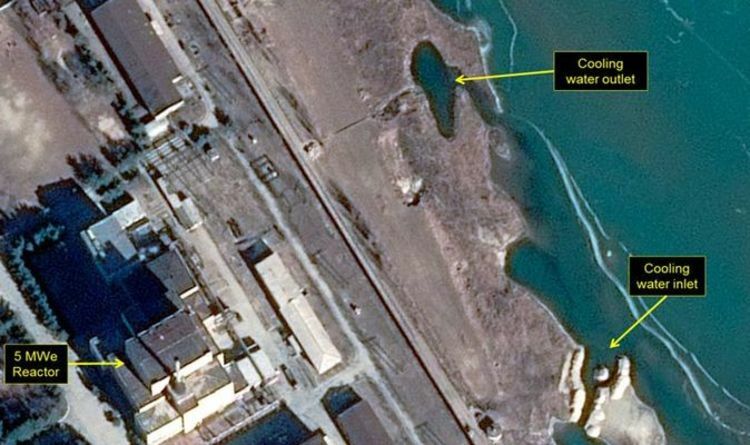 A spokesman for the website 38 North, which monitor North Korea, said: "If the reactor is operating again, as the evidence suggests, it means North Korea has resumed production of plutonium presumably for its nuclear weapons program." It comes after US President Donald Trump suggested a “deal was in the making” after his acceptance of an invitation to meet North Korean leader Kim Jong-Un in person and discuss the country's nuclear disarmament. The White House says North Korea has agreed to suspend all missile testing ahead of talks. There have been some suggestions that there has been something of a thaw in relations between the North and the South since the Winter Olympics in Pyeongchang.